An NYC Scout Troop Provides Homeless Girls A Place Of Their Own « Adafruit Industries – Makers, hackers, artists, designers and engineers! Awesome story by NPR – thanks to Tom for sharing! At the end of the trip, the girls left the cabins where they’d stayed and returned to the closest thing they have to a home: a 10-story budget hotel in Queens, where New York City’s Department of Homeless Services pays to shelter homeless families. All 28 of the girls in Troop 6000 live at the hotel. 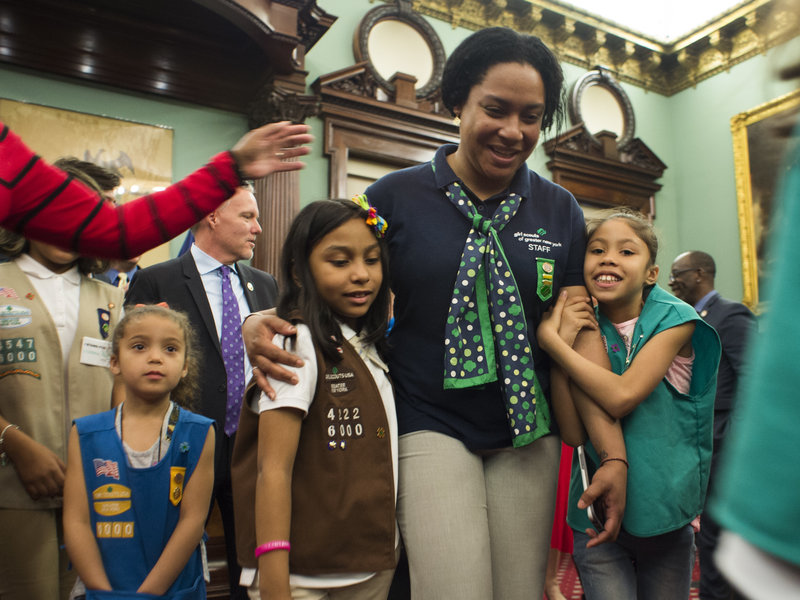 They’re members of the first-ever Girl Scout troop for girls who are homeless. …”I think my biggest goal here is to try to break that stigma of homelessness,” she says. So the troop, which includes three of Burgess’ daughters, does what other Girl Scout troops do. They’ve practiced first aid, studied women’s suffrage and learned about STEM careers.